People say that good things come in small packages. 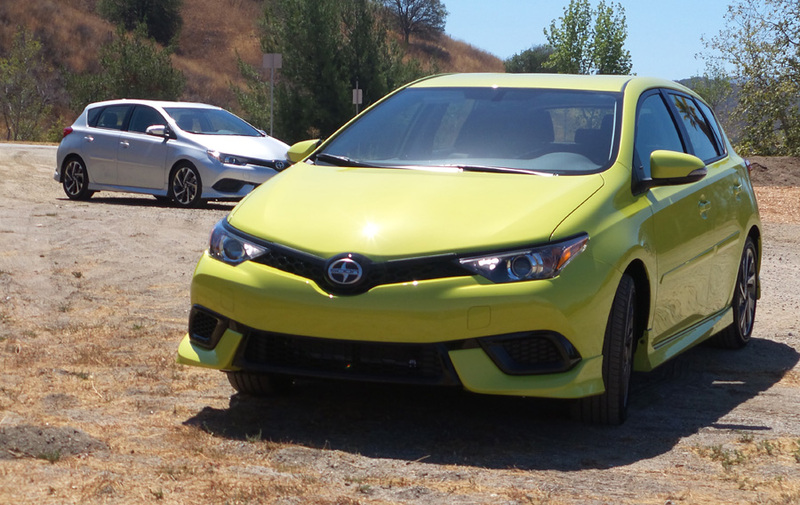 The new 2016 Scion iM is one of those small packages that has many good things going for it. I spent a couple of days in Santa Monica testing the new subcompact and here are my initial impressions. The 5-door hatch, a rebadged version of the Toyota Auris, which is sold only overseas, comes standard with a 1.8-liter four-cylinder engine that produces 137HP and roughly 126 lb-ft of torque. While these specs aren’t groundbreaking, they are adequate for zipping around town and maneuvering through congested city streets. Where the iM really excels is in its corning capability. As I headed into Topanga Canyon, I thought the zig-zagging roads would get the better of the iM. I was wrong. The car hugged each corner with precision and felt stable even at higher speeds. 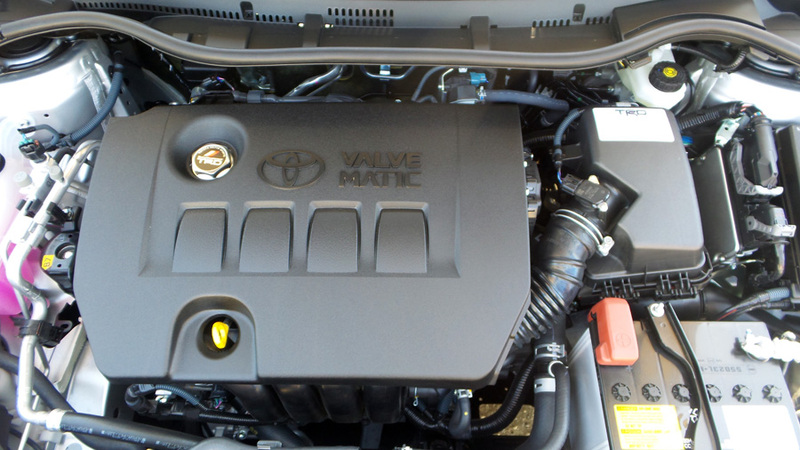 The Scion iM also boasts great fuel economy. While cruising the streets of Santa Monica, the iM managed to get 28mpg in the city, but when I hit the wide open Pacific Coast Highway, it jumped to 38mpg. For a car that isn’t a hybrid or diesel, these fuel efficiency numbers are pretty impressive. After a couple of hours behind the wheel, I didn’t feel any fatigue thanks to the Scion iM’s enticing and gratifying interior. In addition to being comfortable, the seats are stylish with Piano black accents. The iM features soft touch surfaces on the dash and throughout the interior. During the drive, the massive multi-media infotainment center – complete with Aha app and 6 speaker sound system – kept me entertained and informed. Bluetooth capabilities along with navigation voice recognition, backup camera, and HD radio, are all standard. There aren’t many additional options to put on the car because Scion built this line to a mono-spec catalog, meaning when you buy this car all of the “upgraded” features are standard. This may be a selling point to the younger drivers, but I would have liked to having an available sunroof or leather seats would have been nice. Although the car had a fun-to drive element to it, the Scion iM will have a hard time competing with the Volkswagen Golf, Kia Forte, or Mazda3. The Scion iM’s biggest selling point will be its price. 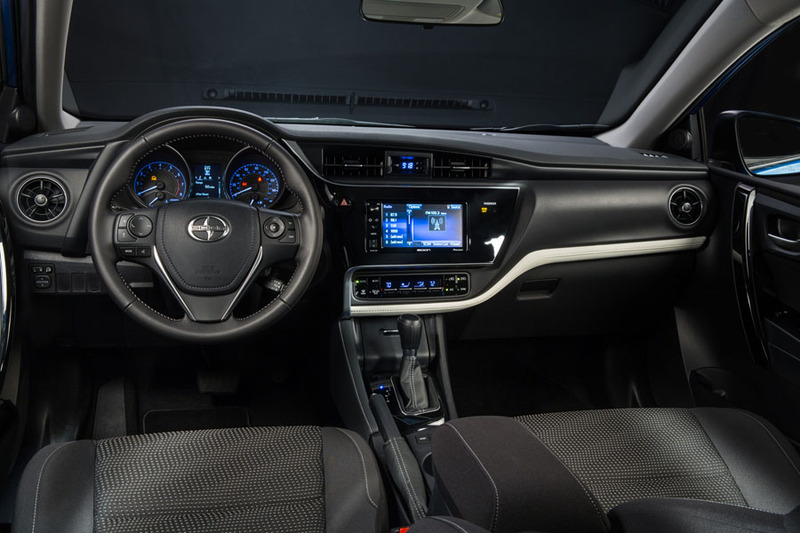 Starting at $19,255 for the manual and $19,995 for the automatic, the Scion iM is an affordable, fuel efficient car that offers an impressive list of standard equipment.